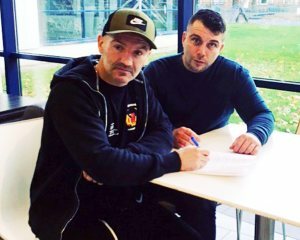 McAllister also announced that Harrison is set to have his first fight under the Assassin Boxing Promotions & Management banner on December 8th, at the Glasgow Club Bellahouston in Glasgow, which he believes will be the first step on a journey that will end with another World Championship belt around the former WBO Champion's waist. "I can't thank Lee (McAllister) enough for the opportunity. I'm glad to be back and I've got to seize this opportunity with both hands. "I am in the gym five days a week and train three times per day. I feel good in sparring, doing my roadwork and shadow boxing. I feel very capable of winning the title again. "I am very focused on being World Champion again and I wouldn't bet against me. I think it is my time again, I believe that. I am very motivated, focused and determined to win a World title again. Harrison continued, saying: "Everyone knows what happened to my career but you try to look to the future, not the past. This is me back and looking forward to the future and hopefully finish off my career on a high. "I've unfinished business, I lost my license in 2007 then got it back in 2012, but with the Spanish cases it set my career back. I've no more cases and I'm looking forward to getting on with the final part of my career. "There were a couple of times when I thought I'd never be able to come back or get an opportunity to come back. "The path's now clear, I can concentrate on boxing 100%." he added. "It can be done. I don't see why it can't. The only reason I wasn't world champion was because I was sent to Spain. I was undefeated in my second reign, all I needed was the opportunity. "My motivation first and foremost is to provide for my family. And the second is to win the World title again - I believe I've got what it takes. "I'm in a good place mentally and physically, and I feel in good condition as well. I'm just looking forward to December 8th, getting back to work. I've not boxed competitively in five years so it's going to be a terrific night and I can't wait."